As a construction business owner, you may find yourself faced with the dilemma of how to get your heavy machinery from one place to another. 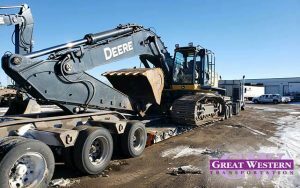 While you may own your heavy equipment, it doesn’t mean that you have the means to transport it as often as you need to. 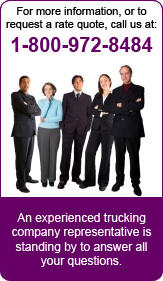 Thankfully, you have the option to hire a transportation company to do the heavy lifting for you. These transportation companies do not own any construction equipment, but they do hold the equipment that is needed to transport all your heavy machinery. However, you need to make sure that you are working with a transportation company that employs skilled workers and has quite a reputation within the industry. While some of the newer transportation businesses can be okay, most of the time, it is best to hire a company that has been around for the long haul. Those are the businesses that can provide a large number of references, plus, the fact that they are still in business after so long speaks volumes. Everyone wants to work with a transportation company that has clear communication skills because that means that both parties are on the same page. When the lines of communication are open, you should be able to have basic, and sometimes even more complicated, questions answered immediately. Some transportation companies do every single job the same, but that doesn’t work in this business. While most equipment is similar, the places that it is getting picked up from and dropped off to is not. The best transportation companies will consider every scenario before crafting a plan for your construction equipment, which will ensure that everything arrives safely. Every transportation company must have their insurance so that everything is covered if anything happens to your equipment when they are moving it. This coverage ensures that you can easily have your equipment repaired or replaced and not need to pay a penny out of pocket. We understand that money is sometimes a deciding factor when you are choosing a transportation company, but if you find one that is cheap and doesn’t have the above qualities, then we urge you to find someone else. After all, without the above qualities, you may find yourself paying out more in the long term when it comes to equipment repairs, lost time on the job due to late deliveries, and much more. Paying a little more upfront can easily save you those headaches and will guarantee that your heavy machinery will be where you need it every time.